Virgin Australia also ranked highly. 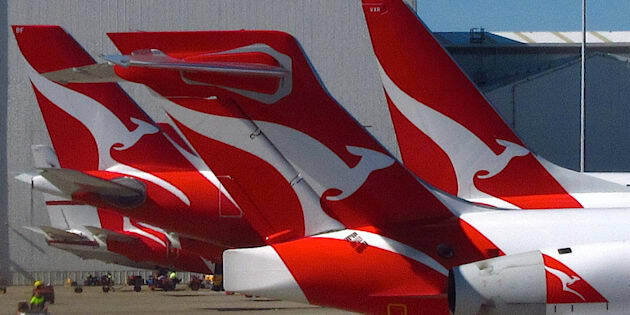 QANTAS has been named Australia's safest airline for the fourth year running. The world's safest airlines for 2017 have been announced and QANTAS has topped the list of Australian carriers for the fourth year in a row. Airline safety and product rating review website Airlineratings.com released its list of the safest airline carriers from around the world on Thursday, with QANTAS coming in at number one for its "extraordinary" fatality-free record in the jet era. Virgin Australia was the only other Australian airline carrier that made the list, coming in at number twenty. Check out the remaining international carriers that made the top 20 airlines which were listed by the website in alphabetical order. Airlineratings.com has said it takes into account numerous factors such as audits from aviation governing bodies and lead associations, government audits, crash and serious incident records, profitability and fleet age when determining its yearly list. Germany's Jet Airliner Crash Data Evaluation Centre (JACDEC) also released the first 12 airlines and the worst three on it's yearly Airline Safety Ranking of 60 international airline carriers from around the world, with QANTAS coming in at number nine as Australia's safest. Hong Kong's Cathay Pacific Airways was listed by JACDEC as the safest international airline for 2017, based on values compiled throughout 2016. Other notable appearances in JACDEC's rankings included Air New Zealand at number two, Emirates and Etihad Airways at numbers seven and eight respectively and Taiwain's China Airlines, which was listed at number 60 as the world's least safe airline. 2016 was also the second-safest year on record for air travel, despite high profile incidents including a plane crash that killed at least 70 people and multiple members of the Brazilian Chapecoense football team in Medellin, Colombia in November, according to Traveller.com.au.